While learning one of the Mazurka's of Chopin, I came across a chord that I think is an appoggiatura chord but I need a second opinion. The piece is Chopin Mazurka in A minor Op. 68 No. 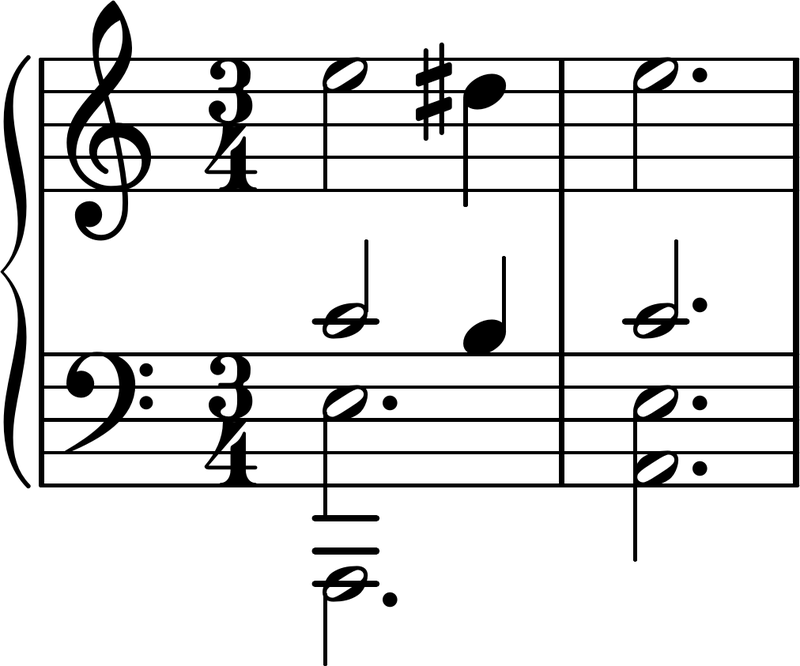 2 and the chord is on the third beat of the second measure. The notes of the chord are E B on the bass clef and D on the treble (E B D). I tried to analyze it by thinking that it's major or minor but that obviously doesn't make sense because the chord doesn't have a third to make it minor or major. From E to B is a perfect fifth, then there's a D.
The D has a trill so that it becomes a D#. I'm aware that the chord then becomes E B D# which makes me assume that it's another appoggiatura chord. I've been studying the Harmony and Voice Leading book by Carl Schachter and Edward Aldwell and in the book you learn about complete and incomplete chords and it states that the third is never omitted out of a triad except for special effects, and the fifth is sometimes omitted. It seems that Chopin wanted the third of this chord omitted. It's definitely not Bmin/E or a slash chord, it's a nonfunctional chord like an appoggiatura chord, double appoggiatura, triple appoggiatura, something like that. Or maybe it's just an incomplete chord? Am I correct? When viewed this way, we understand that the B and D♯ are just non-chord tones that embellish the C and E that surround them. This third beat thus isn't really a chord at all! Given that you're studying from the Aldwell/Schachter book, I think it's especially important that you try and view it this way. Those authors shy away from treating every vertical sonority as its own harmony, often preferring instead to understand those sonorities as results of voice leading.